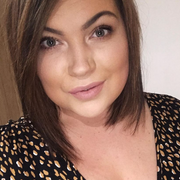 Hello lovelies, today I have a bath bomb review for you. I was so happy to see this in my nearest Lush store as it had only been in Oxford Street forever! I was so excited to see it and show my little boy as he loves frozen and my lush bath bombs, he loves seeing what colour they turn the water and other magical things they can do. 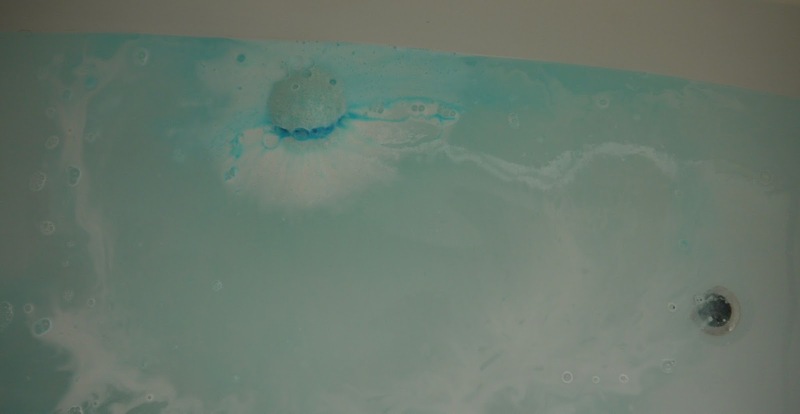 The frozen bath bomb is everything magical in a bath bomb, it makes the water go an icy blue with gorgeous shimmer running through out, dark and light blues colliding, we were singing let it go as we threw the bomb in because that's how we roll in our house. 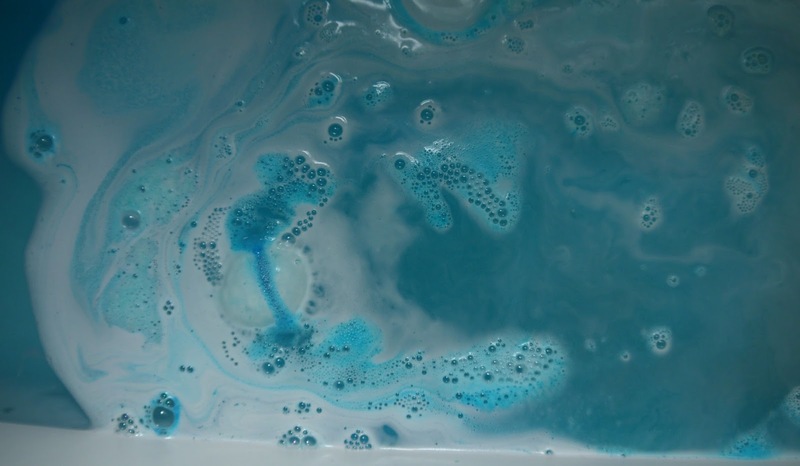 The bath bomb itself has rose oil in it to restore and balance out your skin, grapefruit oil which helps to refresh and uplift you and neroli oil which also helps to uplift and tone your body. The bath itself left my skin lovely and soft and I did feel really relaxed in it. 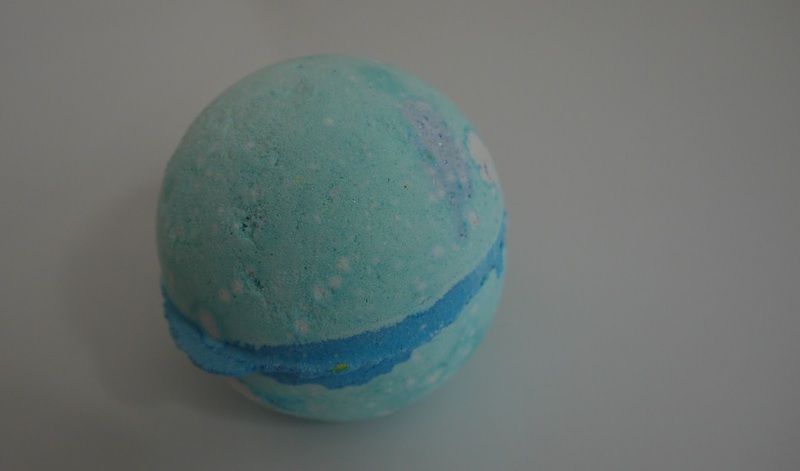 The only downfall to bath bombs for me is they lack bubbles and I'm a huge bubble bath fan so I tend to add extra bits and bobs to have bubbles and an amazing scented, feeling bath. It smelt gorgeous, Oscar loved whizzing the bomb around and loved it to we give it 8 stars out of 10. 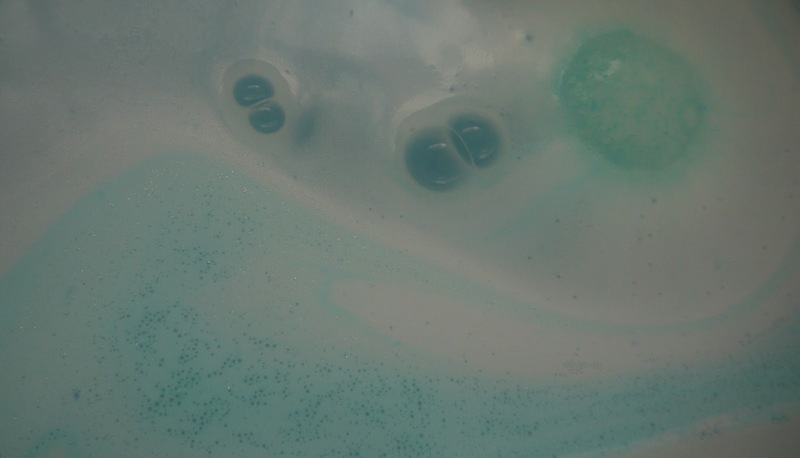 Have you tried the Frozen bath bomb form Lush yet?